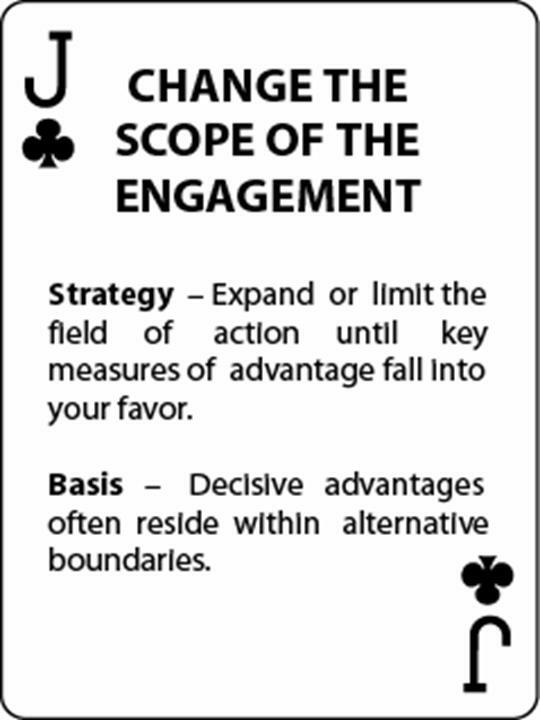 A game to increase the pace and agility of your strategic thinking. Strategy Sparring™ is a new game developed with a Foreign Services officer. Just like physical martial arts sparing, there is no winner per say in this game. The goal is to improve the thinking skills under fire of both participants. 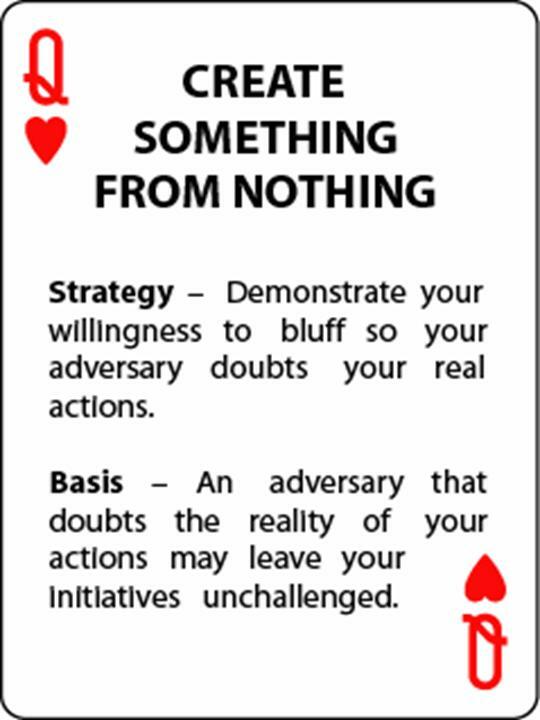 You use the cards from the Art of War: Sun Tzu Strategy Card Deck to exercise your mind and develop real-time strategic agility on your feet. ...the next player might play the Ten of Spade to call the bluff. ... which the first player could answer by playing Seven of Clubs to gain more influence and reach. A given response is not necessarily right or wrong, but should come with a plausible explanation. After a few round of this game, you should notice that the pace of your strategic thinking has increased. In any competitive situation, that could give you a decisive edge.